Twenty-three-year old civil services aspirant died after a recklessly driven Skoda car hit her scooter on Friday evening at Sector 49. The Chandigarh Police today arrested the driver of the Toyota Fortuner who had jumped a “naka” after hitting a Honda city car on the road separating Sector 45 and 46, near Laxmi Narayan temple during wee hours on April 6. 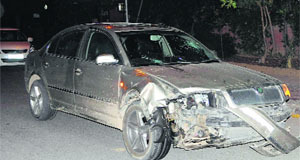 Inspector Amanjot Singh of the Chandigarh police, who was present at the “naka” on duty had fired two gunshots to stop the car. A youth allegedly created a ruckus late last night and misbehaved with police personnel at Sector 2, here. He was posing as a minister’s son. The youth, who hails from Jalandhar, had come to meet a local girl with a red beacon atop his Toyota Fortuner, when he was stopped by the police. The ‘0001’ of CH 01 AX series went for a whopping Rs 7 lakh in an open auction of vanity numbers held at the Registering and Licensing Authority (RLA) today. A Sector-33 based property dealer bought the number for his BMW 640-D worth Rs 1.32 crore. Providing major relief to city residents, the Joint Electricity Regulatory Commission (JERC) has dismissed a petition filed by the UT Electricity Department for a 21 per cent hike in power tariff. In a major embarrassment to the Panchkula administration, political parties have raised questions on the entire data of voter turnout uploaded on the website of the Chief Electoral Officer. Mocking at the 'top-class' road infrastructure set up by the SAD-BJP government here, Congress leader Ambika Soni claimed that her new Innova car has turned into a 'khatara' (jalopy) within 20 days of her campaigning in the area. The SAD candidate for the Anandpur Sahib Lok Sabha seat, Prem Singh Chandumajra, today accused his rival from the Congress, Ambika Soni, of misleading people by distorting facts. 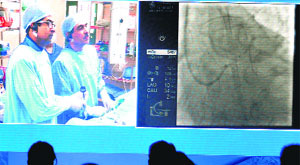 The third national heart failure summit and live workshop and symposium on interventional cardiology began here today. The highlight of the workshop was two live demonstration sessions held on the ways to use various types of heart failure devices that was beamed live from Fortis Hospital to summit site at JW Marriot Hotel. A doctor couple posted at the Mohali Civil Hospital and the Civil Surgeon have approached the police following counter-allegations of misbehaviour and harassment. An Assistant Sub-Inspector of the Punjab Police has been running from pillar to post for the past two months to get a police case registered in Chandigarh. 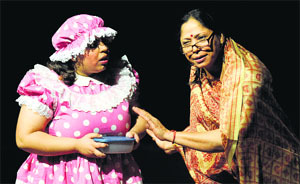 The Chandigarh Sangeet Natak Akademi gave the city residents a different slice of entertainment as they staged their play “The Clown’s Cry for Moon” at the Tagore Theatre here today. Not only the professional actors performed, but also invited the audience to join them on the stage to re-enact the play. Government Medical College and Hospital (GMCH), Sector 32, witnessed a high drama late last night when a man alleged that his five-month-pregnant wife died due to doctors’ negligence. ORRA, India's leading jewellery retail chain, has announced its anniversary sale giving its customers an opportunity to avail of exciting offers and splurge on exquisite creations. The sale ends on May 5 coinciding with Akshaya Trithiya, one of the most auspicious days to buy jewellery. Ironically, Panjab University is giving a step-motherly treatment to the School of Punjabi Studies, one of the oldest departments for research, as it has not allocated a single penny to it in the financial year 2014-15. 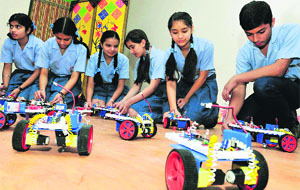 A week-long workshop on robotics conducted by experts from IIT-Bangalore concluded at RIMT World School, Manimajra, today. Chandigarh: Students of AKSIPS, Sector 45-A, celebrated Baisakhi on the school campus here on Saturday. The students were apprised of the importance of the festival. The students marked the celebrations in traditional way as they sang songs and performed bhangra. 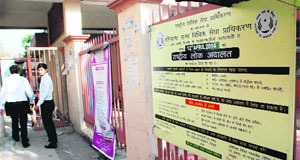 As many as 5,305 cases were disposed of during a Lok Adalat at the District Courts Complex here today. Of these, 236 were settled under Section 138 of the Negotiable Instrument Act. Two couples were reunited after a settlement during the Mega Lok Adalat at the Panchkula district court here today. As many as 2,035 cases of the total 3,100 cases were settled today. 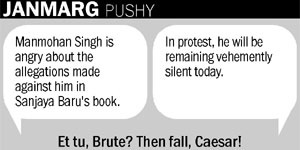 In the infamous cash-at-judge’s-door scam, the defence counsel today cross-examined the complainant. The complainant—Amrik Singh, who was then working as a peon at Justice Nirmaljit Kaur’s camp office at her Sector 11 residence— stood by his earlier statement during the cross-examination, said CBI special public prosecutor Anupam Gupta. The police have nabbed a 15-year-old boy and his two accomplices for allegedly stealing a Zen car from Sector 16. 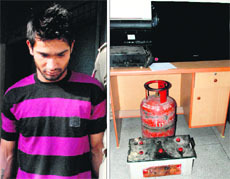 The juvenile and his accomplices, Pradeep and Anil (both 22 years’ old), are residents of Mauli Jagran. 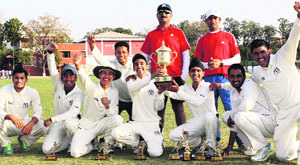 Yadavindra Public School, Mohali, lifted the title of the First Amanjit Memorial Six-a-Side Cricket Tournament concluded at the school's cricket ground here today. 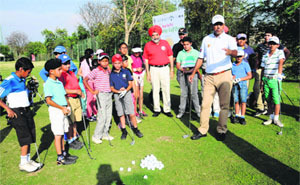 Chandigarh Health and Wellness Association (CHAWA) held 'Beat the pro', a charity event, at the CGA Golf Range here this evening. 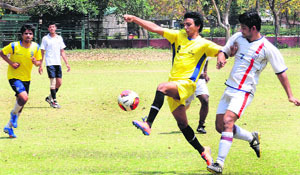 New Public School (NPS), Sector 18, defeated Abhyajeet Football Club by 3-2 in the opening league match of 11-a-side football championship for men (seniors) which kicked off at the football stadium in Sector 17 here today. Aryan Thakur overcame Rupinder Kaur 6-1 while Aryan Mann beat Agrima Tiwari 6-5(2) in the second round matches of boys and girls (U-12) during the ongoing Ideal Tennis Academy's combined junior (U-12/14) tennis championship at Manav Mangal School here today.